Need help updating your company, organization or private Wikipedia page? We have experience helping clients edit their Wikipedia pages while complying with community guidelines. Hire us to help you identify what Wikipedia edits are possible. Why is your Wikipedia page important? Google’s Knowledge Graph is powered by Wikipedia, so if your branded queries or brand name are searched a lot, you will want to make sure all of the information on your Wikipedia page is correct. This is especially true for the Infobox, that summary of information about your company that appears at the top of the Wikipedia article. Many users who search your brand name will never click through to your website. After all, the information they want probably shows up in the Knowledge Graph. If anything in Knowledge Graph is incorrect, or presented with outdated branding or imagery, you should fix it. In fact, Wikipedia wants the most up-to-date information, but editing your own page goes against Wikipedia’s guidelines. However, Wikipedia editing guidelines do allow you to hire editors like us to make changes on your behalf, but only if the relationship is fully transparent and disclosed to the Wikipedia community. Do you create Wikipedia pages for companies? There are minor restriction on who can create a new Wikipedia page, and we’ve got those covered. But just because we can create a page for you does not mean it will survive the scrutiny of the Wikipedia community. Not every subject is deemed suitable for its own Wikipedia article and a new page can disappear quickly. Remember, every statement written in a Wikipedia article must cite an unbiased, third-party source. So, to determine if a new page for your company is likely to stick around, consider how often your company’s activities are mentioned by media outlets. Good examples are things like new product launches, charity events, IPOs, mergers and acquisitions, and high-profile leadership changes. If there are media mentions that provide details about your company and its history, you may have enough source material to support the creation of a new page. If your About Us page is one of the only sources of information about your company on the Web, a new page is unlikely to be very long lived. When an individual or company has been involved in something considered scandalous, their Wikipedia article may become a hub of negative activity and a thorn in the side of company leadership. It’s important to resist the temptation make aggressive edits that can only make things worse. But if only one side of the story is being told, or if those involved have a long, positive history that isn’t being reflected in the article, we can expand the article to include the positives and dilute the negative presence and tone. If you’re looking to be proactive, make sure your Wikipedia article contains as much relevant and positive information as possible. A fully fleshed out Wikipedia entry can absorb unflattering information better than a page that’s thin or created by someone else in the wake of a scandal or negative press. To ensure the highest chances of acceptance by the Wikipedia community, we strictly follow the guidelines for paid Wikipedia editing. According to the guidelines, hiring a Wikipedia editor inherently creates a conflict of interest, or COI using Wikipedia’s terminology. At the outset of every project, we disclose the COI on the article’s Talk page by stating who we are, who has hired us, and what types of changes we are proposing for the article. We are always ready to make the case for why the changes make sense or make the page better, and we monitor the page moving forward to gauge reaction to the changes and defend them when necessary. Unlike your other digital assets, you don’t fully control the Wikipedia articles about your company or products. But that doesn’t mean you’re at the complete mercy of the masses. 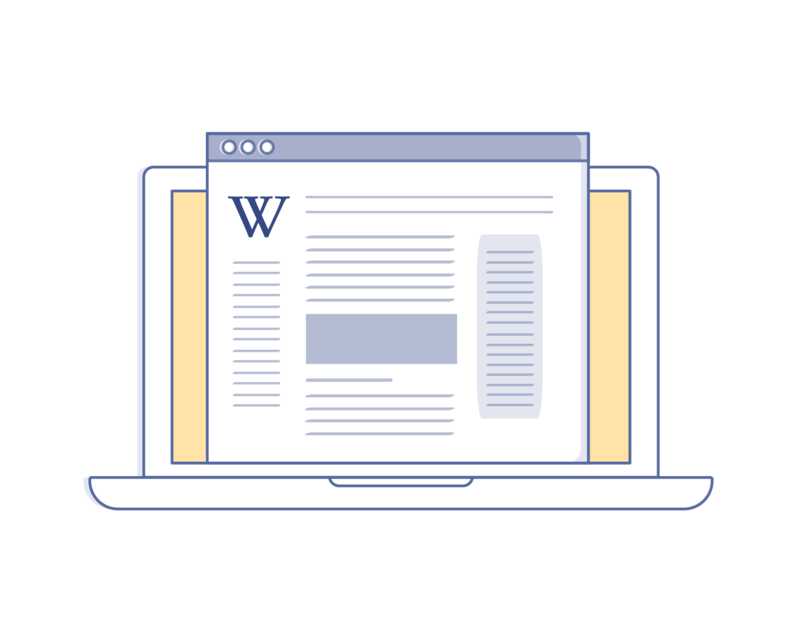 Contact us here to learn more about how we can help manage your Wikipedia page or article.